A protein shake doesn’t have to be loaded with sugar by adding all of the fruit sometimes. I personally get cravings for chocolate and get too lazy to cook dinner sometimes, so I whip up a protein shake. I came up with this recipe because I didn’t want to consume the natural sugar in the evenings. Even though it is natural sugar, it is still sugar and that is how your body processes it. I think sugar is best for your body earlier in the day and around your workouts. This recipe came about one night when I was staring at my freezer and fridge and just kind of started throwing things together. There are a lot of different variations you can make with the six low sugar ingredients I am going to share. I will also share a couple of the combinations with you so that you won’t be scared to try them out on your own because I promise these two examples taste delicious. 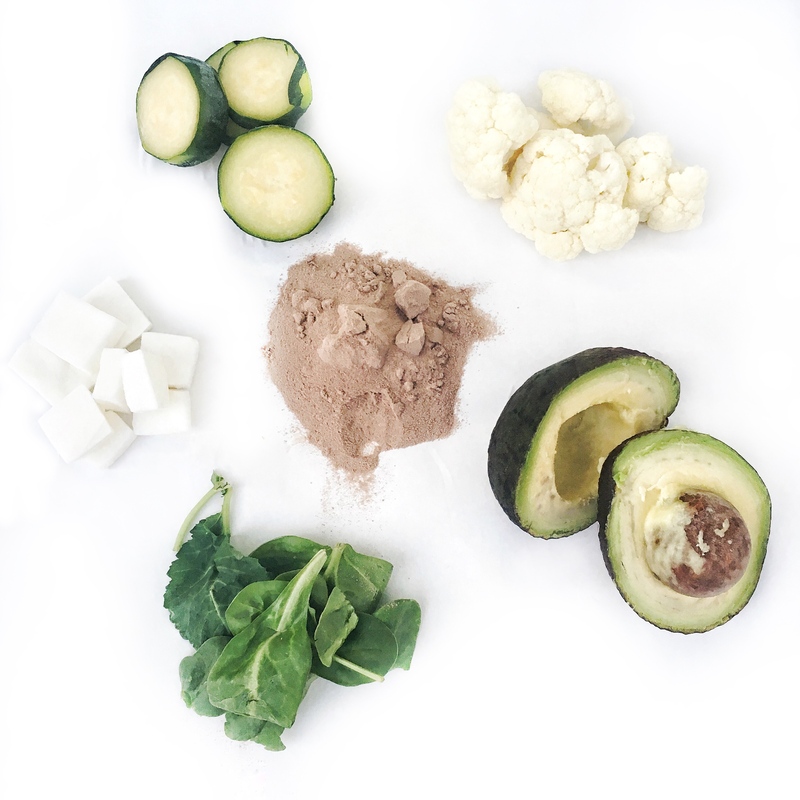 All of these ingredients (minus the greens) still make your smoothies nice and creamy without adding a banana. I know in the past I would just try and get away with ice to thicken up a smoothie like a banana always seemed to do–I think we can all relate to that and remember how terrible the consistency turns out, even though we would always try and try again. Check to thee being creamy, Check to these being low in sugar. Check to these being high in protein. Check to these for tasting deliciously chocolatey. And check for these being healthy for you! Cheers! Here are the six ingredients to create all of the low sugar EBOOST chocolate protein shakes. Grab your protein, pick a healthy fat, pick a veggie, add greens, add liquid and blend! Example #1: 1/2 an Avocado, 4 frozen 1″ thick Zucchini pieces, a handful of Greens, 1-2 scoops chocolate Prime, 1/2 cup unsweetened vanilla almond milk. Blend. Example #2: one serving frozen Coconut meat chunks (purchased at Trader Joe’s), 5 florets of Cauliflower, a handful of Greens, 1-2 scoops chocolate Prime, 1/2 cup unsweetened vanilla almond milk. Blend. Which version of our Low Sugar Protein Shake will you make?